Because I am almost never in Sri Lanka, but my heart – like the south-seeking gaze of Vishnu-Ranganatha, who was also meant to live on the island but doesn’t – is always turned in that direction, I obsessively watch the Instastories of a friend of mine. A few seconds of tuk-tuk sounds accompanying the sights of a backstreet of Colombo. Rain dripping off low-hanging leaves on trees by the Kallady lagoon. Sun-kissed beach tides. Sights that have precise impacts in places in this unhomed heart of mine. 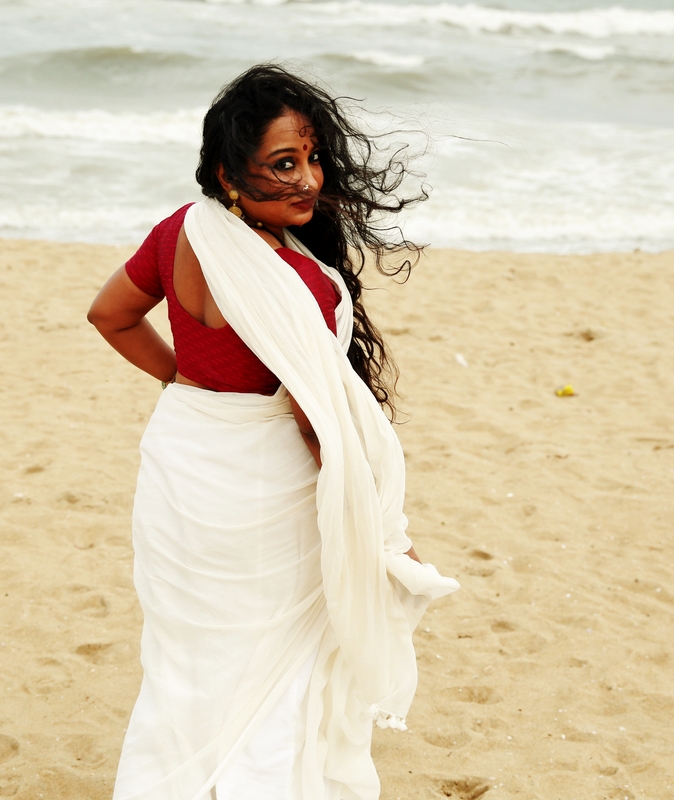 Like me, she is diasporic Tamil, with some metaphysical umbilical cord rooted in the dust or immersed in the waters of Batticaloa. And she is leaving the country for a while – which means I am going to be deprived of my vicarious living for a while too. I was supposed to have gone to see her before she leaves, but I’d been foolish. I’d been swayed by a sort of empty promise and not made independent plans in time. How am I going to get by without her daily glimpses? Ridiculously, I’m so sad that she tried to console me. But, as I said to her – “Maybe to be an island girl is to always have a little sadness”. The Portuguese and Galician word saudade captures that emotion – a word often described as untranslatable, but with equivalents in many languages. Missingness in English, hüzün in Turkish, Sehnsucht in German, keurium in Korean and natsukashii in Japanese are among some – all conveying a certain wistful melancholy. Saudade is also a musical undertone, most famously evoked by the Cape Verdean singer Cesaria Evora (another island girl – or most accurately, a woman of many isles). What would the Tamil word be? Without boring him with the backstory, I asked the translator Chenthil Nathan. He gave me the beautiful ulluthal – to think back. The word reminded me of ulloli – inner light. The last time I was in Batticaloa, I’d stood in my ancestral temple with my heart sinking to hear Sanskrit hymns. Just six months earlier, the prayers had been in Tamil. The native religion and culture are disappearing – no, they are being disappeared, in favour of the monolithic. I ached, and actually prayed to hear Tamil – and then I did. As the priest and the crowd moved away, a woman’s soft voice rose in song. I found its source, and sat down to listen. Quietly, she was singing to our goddess from a booklet. I brought that booklet back with me. It was called Ulloli. Then, Chenthil remembered and gave me what he called “a poetic phrase” – nanavidai thoythal, or soaking in dreams or memories. I asked him if he had found the word in a specific text. His answer brightened this un-homed heart of mine: “I read it first in a Jeyamohan essay. Most Sri Lankan writers use the phrase. S. Ponnudurai wrote a book with the same title. So I assume the phrase came from Sri Lankan Tamils. Thinking now, it is natural the Lankan immigrants formed a word for nostalgia.” Indeed. A word, a way of life, some moments that disappear like Instastories, some yearnings held steady, some meanings reclaimed. An edited version appeared in The New Indian Express on May 31st 2018. “The Venus Flytrap” appears on Thursdays in Chennai’s City Express supplement. And if it rises gently, you can smile at it without a word and watch it move through a tableau. An accidental encounter. The separate tables in the same restaurant that neither of you can leave without disrupting everything, but a glance can pass between you that says just enough. Other ghosts float by before you notice them, and then you are thankful later that you didn’t. That someone tried to look into your face but it must have seemed opaque to them – you were looking for someone else in that crowd, stepping toward the life that chose you and you choose back in that moment if not for always. But we know that mostly, if conversation had been possible to begin with, these contemplations wouldn’t even happen. That you wouldn’t wake, or never fall sleep in the first place, with such conjectures. And sometimes even the sensation that in some alternate timeline, it is happening: there you are, in another bed, in another’s arms. The name on your lips more than a whisper into the night’s reticence. How poignant though, that unheard whisper. More disconcerting are evocations of lives you no longer want. I woke gasping from a dream last year of such strangeness and clarity that it filled me with dread, the thought that some part of me still shimmered in an old house I turn my face away from when I pass by it, the way some people hold their breaths beside cemeteries. “Because you were not my fate, I could climb the mountain with my back straight,” I wrote in a poem the next morning. There were dream-mountains and not-dream-mountains, climbed and yet-to-be-climbed. I meant all of them. Sometimes life diverges because there is no other way to save you. It forks like a line on the palm so that you may live. At other times, a question mark lingers. And maybe you don’t really want to know the answer. Maybe the vexing, the wondering, the salting-then-licking of the wound, are just the right amount of bittersweet to fill the spaces between what could not be and what hasn’t come to be. A way to fill the size and shape of a night that offers its companionship, a luxury that not everyone would call loneliness. An edited version appeared in The New Indian Express on June 8th 2017. “The Venus Flytrap” appears on Thursdays in Chennai’s City Express supplement. When was the last time that the most urgent of my hopes was only that there will be bitter gourd for lunch? Because I am eating alone today, the meal is slow to come, and so I sit on the porch and look at the pepper-vined trees and ponder this until it does. There was no rain in the morning, and so the shrine visit – my most urgent hope otherwise – has been completed. It will be days before I have to think of anything else. It has been years since I have thought of nothing at all. The food is ready. I’m disappointed – no batter-fried bitter gourd, my favourite, but there are long beans, to which I am allergic. Still, when I’m serving myself in the thatch-roofed hall, a downpour begins, and so I eat as slowly as I can, watching the earth become muddy, knowing that the sunken courtyard in the red house will fill a few inches, but dissipate by the time I return. I am here to fill my own well – but more than that, just to cleanse it, wash away all that was accumulated from everywhere but here. So this is where I come to escape. At night, owls cry and a mad rooster from the poultry farm next door raises a ruckus. During the day, sunlight laces through leaves susurrous in the wind, and because the eight dogs know me well, I walk without fear. I find starfruit and mangosteen on the ground: echoes of my South East Asian childhood in the soil of South India. Corn grows nearby: a new experiment. There is a pool, another new thing, in which my friend threatens to skinnydip. I have a view from my window. The memory of this place takes me a long way. I contain it the way some creatures contain water, subsisting on their interior resources long after their landscape has betrayed them. Nearly everything I have written in the two years since I first began coming here has been a postcard – meant for one person, but sealed from no one’s eyes. But, dear reader, this is my week without letters. It is only for you that I reconnect to civilization at all. I intend to write nothing else, although tonight, in the town, I will read my poems to a few people. When I read them to my friend on the roof of this house a few evenings ago, I had looked up to see a faint rainbow in the west. I who have been led so wary by omens accepted it without suspicion. And because it is you who is my intended now, I have wondered for days what to say to you. What can I tell you of the beauty of these present things, for which no description suffices? Snippets of conversation, an understated happiness that cannot really be imparted, of what use is all of this to you? Here, where I do not have to be who I am supposed to be, because I can be who I am, think of me today not as a witness but a well-wisher: wishing for you the same, a place so generous with its grace you can carry it back to wherever it is you must be, a deep source, a sweet scar. There is only one video of me in the entire universe that I like. It was shot, handheld and without me noticing it, in April 2007 at No Black Tie, Kuala Lumpur. Some people lose count of their lovers — I lose count of the places I’ve read at, but count I did recently, and realised that in the past eight years or so, I have read at an approximate fifty venues. No Black Tie remains the one closest to my heart. Now, in the years of the drought — I feel like a jaded thing, but once, I read in jazz bars. I could only afford rhinestones, but there were stars in my eyes.